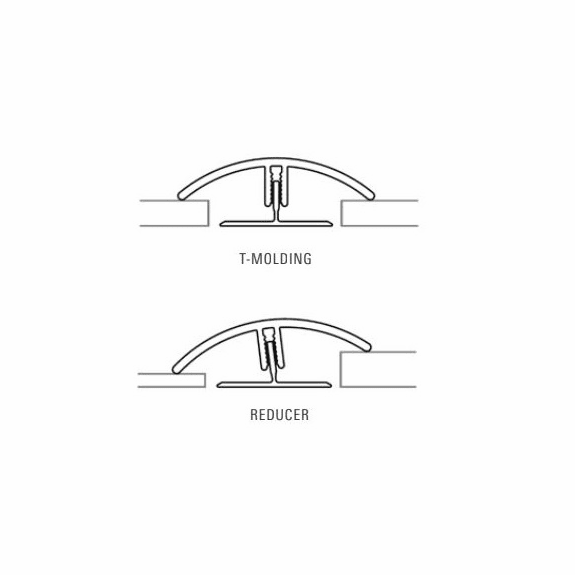 The RevoFit molding provides gives the flexablity of 2 distinct moldings in one piece. The flexible design of the RevoFitT allows installation of the molding innn either direction, thus eliminating guess work out and making it DIY friendly. Option 1: T-MOLDING The purpose of the T-Molding transition, is to accommodate the expansion gap between floors of equal heights ranging from 3-8mm. Option 2: REDUCER The purpose of the Reducer is to provide a transition to a floor of lower height. The RevoFit is 78.75 inches in length by 1.75 inches in width. Construction is a wear resistant rigid pvc that is waterproof.